SoftPlanet makes it possible for everyone to get free Local Resolution Map (ResMap) download directly from our servers. There is no registration needed for downloading. Local Resolution Map (ResMap) 1.1.4 is a free Python (NumPy/SciPy) software application with a Tkinter GUI. It is user-friendly and enables you to compute local resolutions of 3D density maps studied in structural biology and primarily electron cryo-microscopy (cryo-EM). 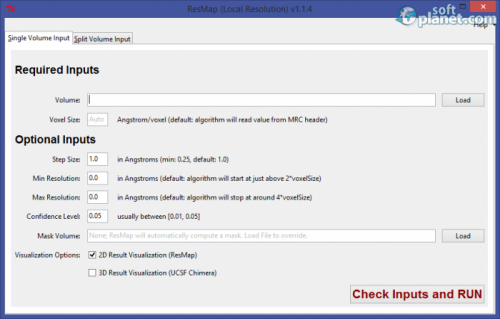 Local Resolution Map (ResMap) 1.1 has an easy-to-use graphical user interface that can work on multiple platforms. The application supports 2D and 3D. You can choose between them or select them simultaneously. If you are looking for a software package that can handle the process of computer local resolution of 3D density maps, you are at the right place. 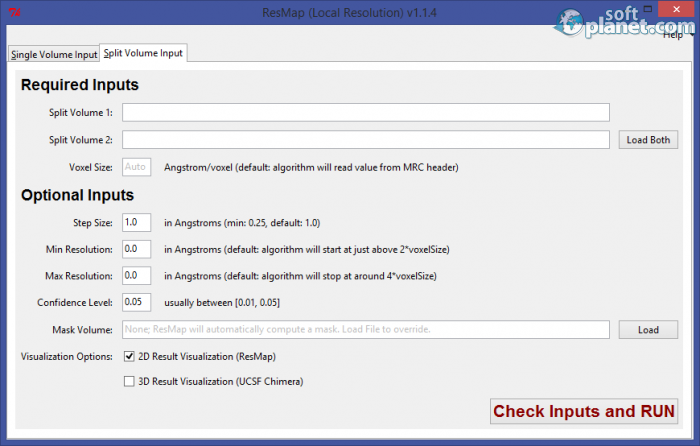 Local Resolution Map (ResMap) 1.1 is just the app you need. Please feel free to share your observations. 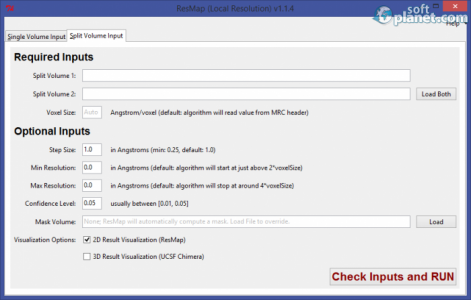 Local Resolution Map (ResMap) is VIRUS-FREE! Our security scan shows that Local Resolution Map (ResMap) is clean from viruses. The current version of Local Resolution Map (ResMap) has been scanned by our system, which contains 46 different anti-virus algorithms. That ensures that Local Resolution Map (ResMap) 1.1.4 is 100% safe for your computer.